My early experiences with death led me to consider some profound questions. I found what the Bible teaches more comforting than the funeral platitudes. Her name was Goldie, and she was one of my favorite aunts. She died of breast cancer at the age of 41. She lived on a neighboring farm, and she was my mother’s oldest sister. When I was a child working on the farm, Aunt Goldie would bake little tea cakes for us to have at lunch or while taking a break. These were more like cookies than cakes, and they were delicious with a cold glass of milk. Even though she never attended church, Aunt Goldie was a Baptist, and the funeral was conducted by the local Baptist minister. 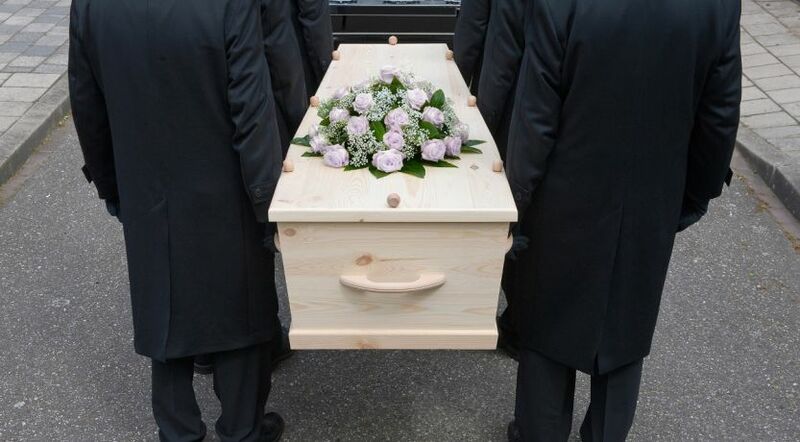 As was typical of that time, the body was prepared by the local funeral home and brought to the house for viewing. It remained there until the time of the funeral itself. I was very young and I don’t remember much, but I do remember having questions. I couldn’t understand how the local minister could dogmatically state that Aunt Goldie was not really dead. He assured us that she had gone to heaven and was watching down over us. Really? That seemed incomprehensible to me. I had viewed her dead body in the casket, so how could she still be alive? Those questions stayed with me until a similar scene a few years later, when I was 12 years of age. Our sixth-grade teacher announced one day that one of our classmates, Barbara, had been diagnosed with leukemia. A few weeks later, our teacher informed us that Barbara had died, and the funeral would be held in a small country church near our school. At the age of 12, I had the same questions that I had when Aunt Goldie died, but it was different now. I was convinced that Aunt Goldie and Barbara really were dead and awaiting a resurrection. They weren’t in heaven, and neither were they in a fiery hell. By this time I had discovered a wonderful truth from Scripture. I was convinced that you don’t go to heaven when you die, nor do you go to hell; you are buried and await the resurrection. Is this really supported in Scripture? Where do we find the origin of this doctrine? Actually you may be surprised that this goes back to the Garden of Eden. “Then the serpent said to the woman, ‘You will not surely die. For God knows that in the day you eat of it your eyes will be opened, and you will be like God, knowing good and evil’” (Genesis 3:1-5, emphasis added). God told Adam and Eve, “You shall surely die” (Genesis 2:17) if you choose to eat of the tree of the knowledge of good and evil. But the serpent, Satan, told Adam and Eve that they would not die. Both statements cannot be true. To understand this subject, we need to start with an even more basic question. What is man? If we can answer this question, then we can determine if man has an immortal soul. Man was created mortal and subject to death, but with the potential for eternal life in the family of God. The truth is that man is a soul! He does not have a soul. And the Bible makes it clear that the “soul who sins shall die” (Genesis 2:17, Ezekiel 18:4). That hardly sounds as though man has an “immortal” soul. What happens when you die? If we rely on Scripture and not ideas propagated by man, we find that when one dies, his body ceases to function, his brain activity ceases and the “dead know nothing” (Ecclesiastes 9:5). Jesus Christ spoke of a resurrection of all who die (John 5:25), never mentioning a soul arriving in heaven in advance of this resurrection. He states that at the time of the resurrection, “the dead will hear the voice of the Son of God; and those who hear will live.” Jesus Christ stated emphatically that no one has ascended to heaven (John 3:13). In Hebrews 11:13 we read that Abraham, Isaac, Jacob and the prophets “all died in faith, not having received the promises.” Peter stated that David was dead and buried and that “his tomb is with us to this day” (Acts 2:29). Jesus Christ spoke of a resurrection of all who die (John 5:25), never mentioning a soul arriving in heaven in advance of this resurrection. He states that at the time of the resurrection, “the dead will hear the voice of the Son of God; and those who hear will live.” They are currently dead and can’t “hear” the voice of the Son of God until the resurrection. Even though the concept of an immortal soul is not found in the Bible, there is reference to the spirit in man. This is not the same as an immortal soul, living within man. The spirit in man is mentioned in six scriptures (Proverbs 20:27; Ecclesiastes 3:21 and 12:7; Job 32:8; Zechariah 12:1; and 1 Corinthians 2:11-12). In each of these scriptures it refers to a spirit essence that returns to God at death and not a soul that exists inside of the man. Man was made from the dust. God breathed physical life into him and gave him a spirit essence that separates him from animals. His brain has a spiritual element that cannot be seen on an X-ray or an MRI, and this returns to God at death (Acts 7:59) and makes possible a resurrection. If eternal life is a gift, when can we receive it? Scripture shows that it is something for the future. Man is currently mortal and destined to die once and then after this comes the judgment (Hebrews 9:27). In order to face judgment, man will need to be resurrected (Revelation 20:10, 11-12). The only hope for those who have died and those who will yet die is the resurrection, not an immortal soul. Understanding the truth that our loved ones will live again provides comfort and is the only real hope for mankind! Read more about life after death or download our free booklet The Last Enemy: What Really Happens After Death? Scriptural support: Genesis 1:26; 2 Peter 1:4; Hebrews 9:27; 1 Corinthians 15:22; Romans 3:23; 5:12; 6:23; 8:16-17. Did God Give Adam an Immortal Soul?